Oh yes! It’s Oxford University! The same Oxford University that denied Margaret Thatcher an Honorary Degree despite her being a graduate of Somerville College; the first British woman Prime Minister and the greatest peace time Prime Minister of the last century. Or, to be precise, it is Oriel College within Oxford University that seems to be about to imitate the destructive anti-iconoclasm of the Roundheads by tearing down a statue of one of its most generous patrons. 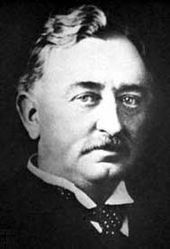 One of the more famous of Oriel’s alumni, Cecil Rhodes (born 1853; died 1902), was the founder of Rhodesia, now the Republic of Zimbawbe. He made his fortune in diamond mining and was a convinced imperialist. He was a student of Oriel College, Oxford and an enthusiast for the Oxford system. He was also a Freemason although sometimes critical of the organisation. Often a controversial figure, Rhodes was elected to the South African Parliament and was, for a time, Prime Minister but was forced to resign after backing a failed military excursion known as the Jameson Raid. He loved Africa and was buried in Matobo Hills. After his death in the Cape in 1902, his body was transported by train to Bulawayo. His burial was attended by Ndebele chiefs who asked that the firing party should not discharge their rifles because this would disturb the spirits. Then, for the first time, they gave a white man the Matabele royal salute, Bayete. Despite occasional efforts to return his body to the United Kingdom, his grave remains there still, part and parcel of the history of Zimbabwe and attracts thousands of visitors each year. Rhodes’s will left a substantial legacy to Oriel College, Oxford with which to establish the Rhodes Scholarship, the world’s first international study program, to enable students from territories under British rule or from Germany to study at Rhodes’s alma mater, Oxford University. His aims were to promote leadership marked by public spirit and good character and to render war impossible by promoting friendship between the great powers. To the left is Rhodes House, a part of Oriel College that I have visited and to which I can attest to its magnificence. To the right is a statue of the patron, Cecil Rhodes, that is apparently upsetting some current Oriel students who are demanding it be taken down. The Rhodes Must Fall campaign was apparently set up by a disgruntled former Oriel student named Ntokozo Qwabe who was, would you believe, a Rhodes Scholar himself! Having secured his law degree with Rhodes Scholarship funding and despite his antipathy to much of Oxford University, he stayed on to complete a Masters Degree and is now practising as a human rights lawyer in South Africa. What is the reaction of the University authorities? Well of course, they are telling the campaigners not to be silly; that Rhodes’s Scholarships have helped hundreds of Rhodes Scholars to enjoy a first class education and that his views in Victorian England were inevitably and necessarily different to views in the modern world. They will have pointed out that there are many patrons of Oxford University who have chequered pasts and some are positively infamous by today’s standards. If there is to be a witch hunt to eradicate all memory of all of them and to tear down their statues, the walls of many Oxford colleges will become as bare as many churches during the Reformation. But did they say this? Oh no! They are consulting on the removal of Cecil Rhodes’s statue and have erected a sign next to it to say that “many of Cecil Rhodes’s actions and public statements are incompatible with the values of the College and University today”. Well it would be surprising if they were! Oriel College was founded by Edward II, hardly an outstandingly good king! Should he be purged? 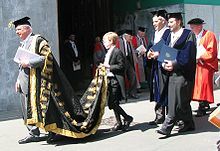 Is Christchurch to remove reference to its founders, Wolsey and Henry VIII? Pembroke College was founded by James I who had an interest in witchcraft. Would this be enough for Pembroke students to seek his despatch into oblivion? I saw Oxford academic life at close hand for some years. It is a world apart; a closed and a comfortable world with high table, deep cellars and a certain unworldliness. Margaret Thatcher took on the union barons and defeated them but she never managed to do the same with the health service or the academic world. Both are bastions of Corbynism and are stout defenders of the sort of privileges that have been expunged from most of the public sector. No wonder Oxford City still produces Socialist MPs and councillors when the rest of Oxfordshire is a good shade of Thatcherite blue! Perhaps it also explains why they lack the courage to stand up to nonsenses from lefty student campaigners? There is a good ending to this story, however. Rhodes House is a Grade II listed building so the statue can only be removed with the permission of Historic England (previously English Heritage) and they seem unworried by Rhodes’s history or moral outlook only by the aesthetics of the building so Rhodes may stare down at lefty students from his lofty plinth for some time to come! This entry was posted in Politics and tagged Cecil Rhodes, Christchurch, Henry VIII, James I, Ntokozo Qwabe, Oriel College, Pembroke College, Rhodes Must Fall, Wolsey. Bookmark the permalink.